bioactive tripeptides that are extracted from milk proteins during a patented production process. These natural, milk-derived tripeptides are safe and have no side effects. 1 Suri, M F, Jawad F. Kirmani, M.D., Afshin A. Divani, Ph.D., and Yousef Mohammad, M.D. Prehypertension triples heart attack risk. Stroke Journal Report 5 Aug. 2005: 4 Dec. 2006. American Heart Association Web site. Available at: AMERICAN HEART ASSOCIATION. 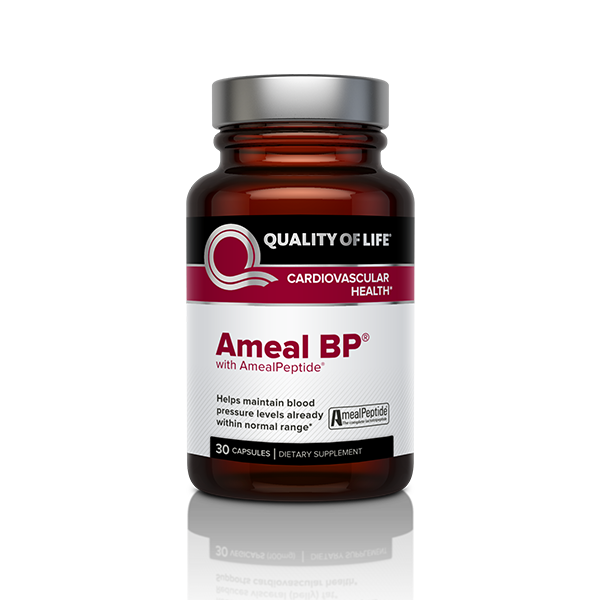 Accessed December 4, 2006.
ameal bp® is not a prescription drug and is not intended to replace your current medications. Consult your doctor before taking AmealBP®. +For blood pressure already within the normal range. "ameal bp" and "AmealPeptide" are registered trademarks of Calpis Co., Ltd., Tokyo, Japan.